Finding a place that feels like home | Nova Scotia Business Inc.
Meet Najib and Alena Faris, who recently moved to Halifax, Nova Scotia. Najib and Alena are loving their new life, welcomed by a community of co-workers, kitesurfers, and wine enthusiasts. Before moving to Nova Scotia, Najib served as Chief Commercial Officer at Bee’ah — a UAE crown corporation — the Middle East’s fastest-growing and award-winning environmental, renewable energy & waste management company. When he came to Nova Scotia he thought he wanted to move into the private sector. As luck would have it, he was tailor-made for a contract position with the Government of Nova Scotia, working as the Director of International Marketing & Attraction at the Nova Scotia Office of Immigration. Najib’s role involved promoting the province as a destination of choice for international immigrants to move, live, and work. Here in Halifax, Alena has happily left behind her days of office work as marketing manager of several fine dining venues in Dubai, and put her passion for fitness and personal training into gear. With her international certifications as a personal trainer, Alena received a job offer just two weeks after arriving in Halifax, and has since been busy impacting her clients’ lives. Najib and Alena’s journey began in 2007 when Najib’s aunt moved to Nova Scotia with her husband, and family. “It was the first time we ever heard of the place,” says Najib. The plan to move to Nova Scotia picked up momentum in 2012, when the government of the United Arab Emirates, by way of Najib’s company, began looking internationally to benchmark against other leading cities around the world and partner with them to exchange best practices in waste diversion. Halifax, being a top city in North America for waste diversion and recycling, was deemed worth a visit. Najib, his colleagues, and members of the Board of Directors of Bee’ah, travelled to Nova Scotia in summer 2012. 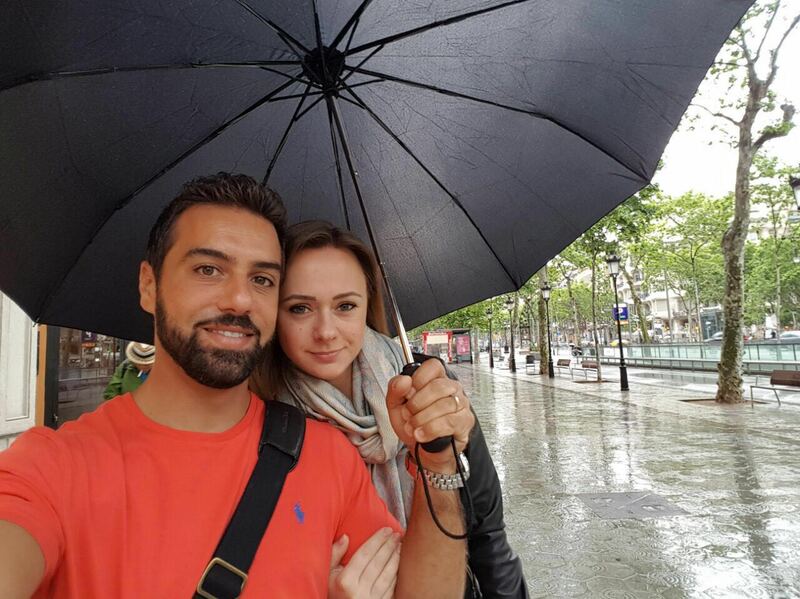 In 2014, Najib and Alena began exploring the idea of moving to Canada. Halifax made their short-list alongside Toronto, Montreal, and Ottawa. In the end, they decided Halifax offered a closer-knit community and felt more like a place they could call home. Interesting in immigrating to Nova Scotia? You're not alone! Check out our immigration infographic for a snapshot of 2016's new Nova Scotians. It’s the sense of community and the undeniably kind nature of the people of Halifax that have made the biggest impact on Najib and Alena. It’s also what has helped make their move to a new city easier. From their realtor who became a good friend after they purchased their home in Bedford, to people like Rebert Kenney from Environment Nova Scotia, and others, who didn’t spare any effort in introducing Najib to their professional network. 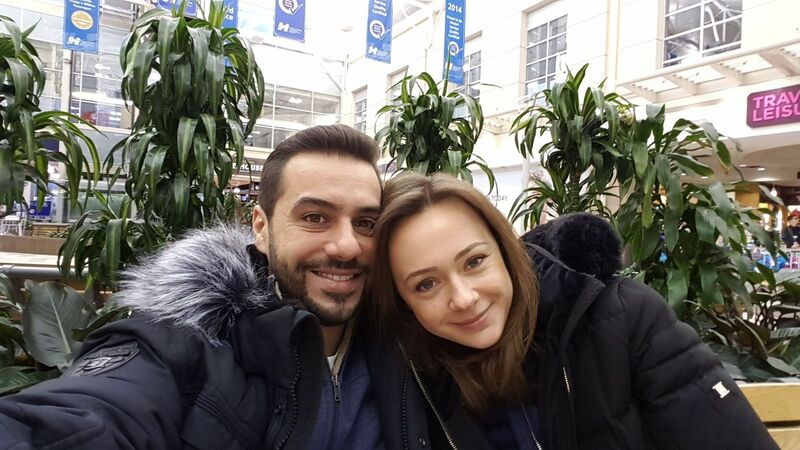 The Halifax Partnership's Connector Program helped Najib and Alena meet new people, setting them up for long-term success. Holly Bond, at Bullfrog Power, and Harvey Doane, at Nova Scotia Business Inc., introduced Najib to other C-level executives and helped him build his professional and social network. Najib and Alena are also sharing their love of wine with a local social group, which has grown into another newfound community. When they’re not busy socializing with their newfound friends or kitesurfing at one of Nova Scotia’s beautiful beaches, Najib and Alena take advantage of the proximity of Halifax’s airport and low cost of living to travel and explore. They take one weekend a month to travel (sometimes extended by a day or two), and have already taken 15 trips. Some of the trips are as close as visiting friends in New York, Boston, Montreal, Toronto or Ottawa, and others have been as far as Dominican Republic and Peru. Najib and Alena are always encouraging friends to visit, and several have already taken them up on their offer to experience Nova Scotia first hand. For more information about immigrating to Nova Scotia, please visit novascotiaimmigration.com.